Resident Evil Archives: Resident Evil is a special release to introduce the owners of Nintendo Wii to a fully-fledged remake of the first installment of the cult series Resident Evil, released for GameCube in 2002. The production was, of course, prepared by the Japanese company Capcom. The changes introduced in 2002 covered not only the quality of the audiovisual setting, but also the mechanics of the game. As a result, the game resembles the above mentioned original, but it has enough new elements to convince fans of the classic saga. In the version for the Wii console, a completely new control system has been implemented, using the capabilities of Wiimote and Nunchucko. This is manifested, among others, in targeting, menu navigation and the way of viewing the inventory. The plot was left practically unchanged. 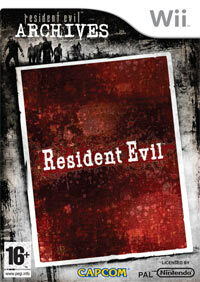 The Resident Evil action takes place in Raccoon City. Numerous reports speak of strange events taking place on the streets of the town. A special unit called S.T.A.A.R.S. is sent to the site. It turns out that thanks to a dangerous virus, created by the mysterious corporation Umbrella, all residents turned into bloodthirsty zombies. The survivors of the crew are hiding in one of the deserted estates. However, it soon turns out that they are not alone. The authors of this remake introduced a considerable number of changes to the particular elements of the game. Noteworthy are the numerous defensive movements, thanks to which you can more efficiently defend yourself against attacking creatures. For example, encountered zombies can be temporarily immobilised with the use of a paralyser, or one of the knives in their skull. The range of enemies is left unchanged, but unbroken enemies can turn into much stronger creatures. The game continues to be a combination of action and standard adventures like searching for objects or solving various types of puzzles. In the remake described above, a significant part of the puzzles was thoroughly remodeled. There are also unknown locations in the game, which of course need to be explored. Game score 8.8 / 10 calculated out of 130 players' votes.